Our young children will soon be readers and writers. In the Common Core era, we are asking even kindergartners to share their thoughts and opinions. Our current writing standards ask children to write argumentative essays along with narratives and informational text. How can we get our preschoolers ready for what seems like a difficult task? One of the best ways is to have children draw pictures to show their thoughts about something. They can illustrate the idea that more trees should be planted. They can draw a picture to show the importance of eating healthy food. There are so many valuable "social stands" that young children can take from caring about the environment to sharing ideas for a healthy lifestyle. This is the start of learning to write an argumentative essay. Once these pictures have been drawn, children should find (or be assigned a partner). Model for children how to ask questions to encourage greater detail. For example, "I really like your little tree on the hill. Did someone plant the tree? I think your picture is great, but it would be even better if you added a person planting the tree." This gets children ready for peer editing and helps them learn to add detail, even in pictures. When our young children are finished, have them record the story of their picture using Vocaroo. Then click the QR code generator. Print and tape or glue the QR code to their art. 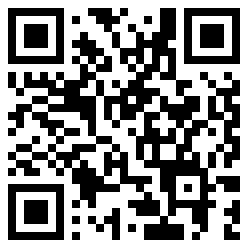 Family members can scan this code with their phone and hear children sharing their story! Encourage newcomers to tell their story in their first language. This will make for valuable discussion at home. NAEYC - 2.D.02, 2.D.06, & 2.D.07. Head Start - VIII.B. 1, 2, 6, & 7. Here's also a guide about recording audio online. Cleaning Up and School Readiness!